You “Went Natural,” But What About Your Hair? Hello folks. 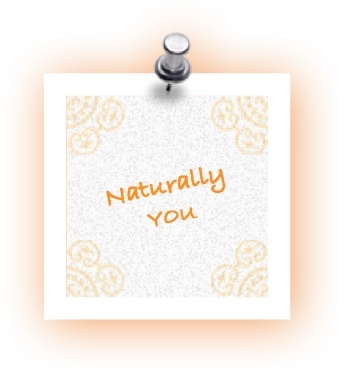 So begins our new series entitled Naturally You which takes a look at the phenomena of “going natural” what that means in general, to you personally and to me as a prude person. Usually the idea of “going natural” is associated with the conscious decision to stop using chemical products to treat the hair including relaxers, texturizers, soft perms and the like. Unfortunately I have found that for many women the idea of “going natural” stops here. When it comes to styling, cleaning and conditioning, there are many well-known brands making less than truthful…ok, phony claims to naturality, while still caring for your natural tresses using the same harmful ingredients used to care for your unnaturally processed hair. Another predicament to “going natural” is that many women have to relearn their hair’s wants and needs after so many years of applying heavily concocted creams, gels and other notions to their hair in order to achieve a particular look. This in turn leads some to simply trade one chemical for another damaging treatment. A relaxer for a texturizers. I’ll see your perm and raise you a press and curl. I should know because more than a decade ago when I first decided to “go natural” I spent a year and a half telling people that I was chemical free, only to apply a texturizer once every six months. 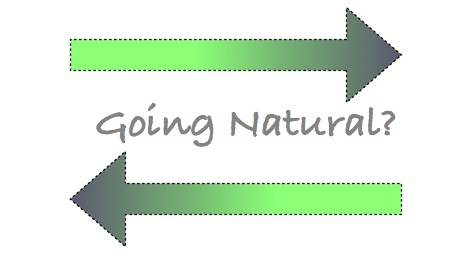 Thus, the idea of “going natural” has to extend beyond the absence of known chemicals to encompass the entire process through which we relearn our hair’s chemistry, make conscious purchases to maintain our hair’s integrity, and understand that the idea of “going natural” must evolve into a whole way of life rather than claims to a particular hair style? In other words we are not simply heads bobbing around without arms, shoulders, legs and the like, so we have to consider how the use of chemicals in one part of our body is equally harmful in others. That said, would you apply the same pomade or styling agent you use in your hair, to your underarms? How about your back and neck? If not, then it goes without saying that your beauty closet may need some cleaning out. When I began rocking my truly natural hair, sans texturizer there were very few products on the market for natural hair. On top of that I couldn’t find a salon in the city that would trim my ends without first wanting me to press my hair straight. Shampoos and conditioners presented their own set of challenges as I walked up and down the isles of my local beauty supply store (You know the one that gives you your items in black plastic bags and is named just that “Beauty Supply”) looking for that magic potion that would give me spring without frizz, sheen without soaking and bounce without a pressed bob. I was desperate. On one exasperated occasion I grabbed a packet of frizz-ease off the shelf, took it home and greedily prepared my hair imagining that I too would go from frizz to ease without a chemical process. Now as someone with thick, coarse hair that immediately doubles back at the first sign of humidity, it doesn’t take a lot to imagine that this was a mistake. You see, I hadn’t yet learned to listen, to stop telling my hair how I wanted it to look and instead allow it to show me how it wanted to be. I think that for women and black identified women in particular the notion of taming ones hair has been hard-wired into us since pre-school. We must press it, dye it, fry it, gel it, cream it, stick it into place. We are the conquerors and our coifs the fateful mountains. It took some time, but eventually I got over trying to have this look or that look and just allowed my hair to fall into its rightful place on my head. It wasn’t long before I discovered that my hair liked minimal fuss and effort. In fact it was perfectly happy to grow (once I left it alone long enough to do so) and to lock and so that’s what we did. 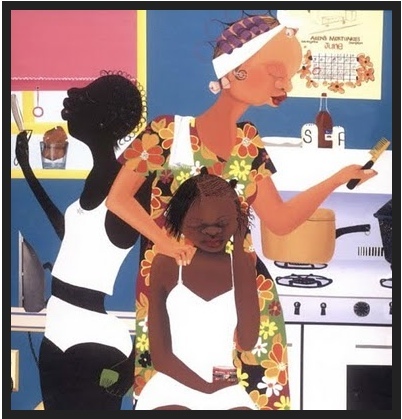 Dixie Peach, by the late and truly inspired Varnette Honeywood accurately and vividly depicts the black hair ritual called "Pressing"
Now that is my Hair Story, yours will be different. The main point of it is that our hair can tell us a lot about ourselves and by “going natural” we can extend these Hair Stories into our other daily regimens. What is your skin telling you? Well about five years ago mine was telling me that it was over burdened. I washed it twice a day followed by a witch hazel toner, squirt of moisturizer and over priced face scrub twice a week. This regimen, which I swore by for many years was only serving to dry out and tire my skin. For me, less is more in every way, so I try to give my hair, my skin, and the rest of me, the best that nature has to offer. In the process I discovered that a bit of quality ingredients actually go a long way. This means looking for soap and washing detergents that are sulfate free; selecting non-toxic cleaning products, and eating foods that are whole unprocessed, pesticide and preservative free. Since we are all at varying stages in our hair journeys I do not mean to preach to the converted, nor to overwhelm the masses. This is an introductory post that asks us to consider all our ways, hair included when we talk about “going natural.” Upcoming posts in this series include an interview with one entrepreneur who is doing just that. § One Response to You “Went Natural,” But What About Your Hair? You are currently reading You “Went Natural,” But What About Your Hair? at The Prude Papers.